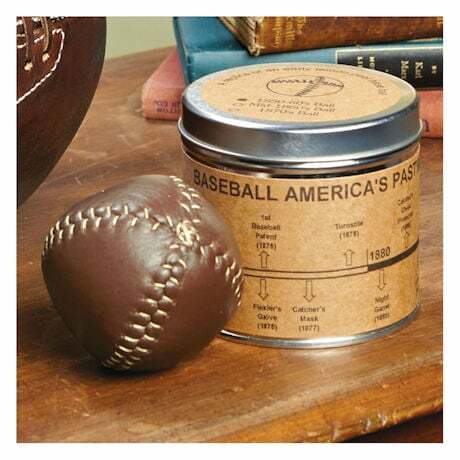 The ultimate sports nostalgia: a true-to-the-era replica of a ball from the early days. 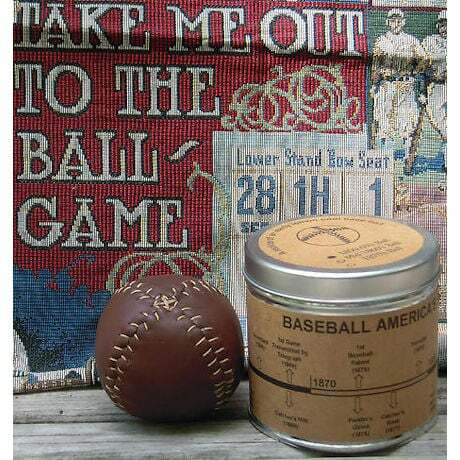 The 1850s-style, pre-glove “town” baseball is a hand-stitched lemon peel design in dark brown leather. 9" around. Arrives in a linen drawstring bag tucked inside a tin. USA.